Today Benoni Country Club is well known as a first class golfing facility with its meandering tree lined fairways and greens. Over the years the course has become a favourite with golfers of all levels and is regularly ranked in the top 100 Golf Courses in South Africa. 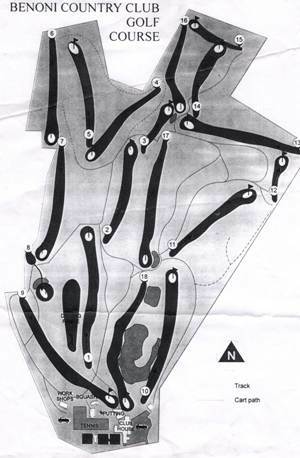 The golf course is one of the most difficult in Gauteng - the large gum trees lining the fairways make for tricky tee shots. 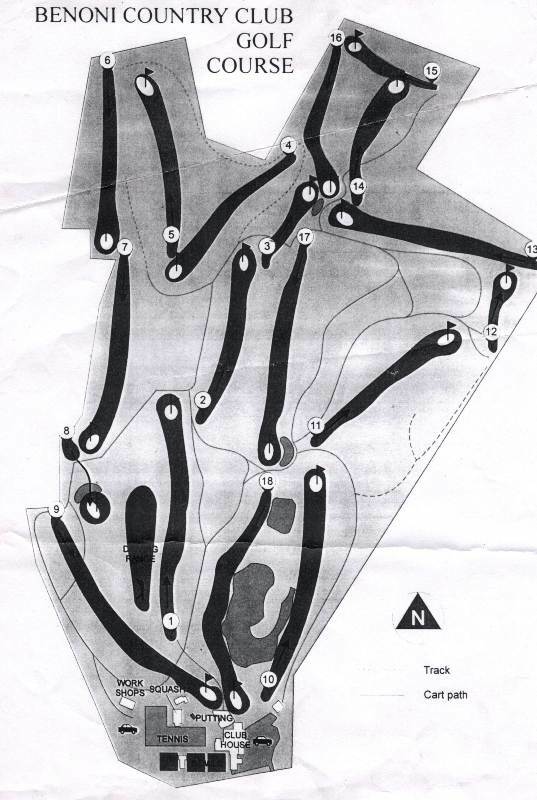 The course also has bunkers on every hole, five dams and includes five par-five holes - each of them over 500m long. Fortunately the sight of wild animals grazing near the fairway is sure to compensate for whatever golfing challenges the course may throw at you. In fact, many golfers book a round at Benoni Country Club for its game viewing potential more than for the golf game itself! Strict regiments of dress are generally unacceptable today and it is consequently undesirable to prescribe specific dress codes for the Club. However, even when attire is casual members and guests are required to be neat and presentable at all times. The Management and Committee reserve the right to decide whether dress is appropriate or not. "The following is considered to be appropriate golfing attire for the golf course and driving range"
Traditional long or short golf trousers with belt or clasp, no three quarter pants are permitted. Each sub-section has its own dress code – please familiarise yourself with these standards.